The depreciating rupee value, the volatile Indian realty market, attractive NRI schemes and the fanaticism to own a property in India have all contributed to an increasing number of NRI property investments. FEMA (Foreign Exchange Management Act), which falls under the purview of Reserve Bank of India (RBI) was introduced in the year 1999 to govern all the NRI property investments in India. However, the rules and regulations for a NRI looking to invest in a property in India are completely different when compared to a resident Indian. As per FEMA, a NRI (non-resident Indian) and a PIO (Person of Indian Origin) both fall under the same residential status and are entitled to the same norms. The residential status of a person is determined by the period of his stay in India. What are the primary requisites for a NRI/PIO to invest in a property in India? 1. It is mandatory that a NRI should possess an Indian passport to invest in any property in India. However, there is no need for a NRI to seek permission from the RBI to invest, transfer, dispose or be gifted with a property. 2. A NRI holding a foreign passport can also acquire, transfer, dispose or inherit a property provided he/she uses it solely for residential use. He/she should also choose an appropriate mode of payment, agree to the non-repatriation of the income from the property and report to the RBI within a period of 90 days from purchase. 3. With RBIs relaxed norms, a NRI can invest or acquire a gift of any number of immovable residential and commercial properties in India. He/ she can also acquire plots of land, pre-launch properties, ready for possession properties and under-construction properties. 4. A NRI can neither invest in, nor acquire an agricultural land, farm house or a plantation land as a gift. However, if the NRI/PIO has acquired an agricultural land before he/she was a NRI, he/she can sell the agricultural land only to a person residing in India, an Indian citizen. 5. Apart from investing/ being gifted with an immovable property, a NRI can inherit, transfer or gift an immovable property to a resident Indian or another NRI. 6. A NRI/PIO should meet all the requirements and conditions by both FEMA and the Income Tax Act, 1961 before acquiring a property. 7. A NRI must possess all the important documents such as a PAN Card (Permanent Account Number), valid Indian passport, OCI/PIO card (in case of OCI/PIO), address proof, passport size photographs and notarized power of attorney to someone in India. It is necessary that a copy of the power of attorney is notarised with the Indian consulate of the country to give authenticity to it. 8. If a NRI buys a property through his/her NRE account, he/she can repatriate the sale proceeds and rental income to the preferred foreign account once the Income Tax and the capital gains are deducted. One should remember that repatriation for sale proceeds for a residential property is restricted to only two properties. 9. Citizens of Pakistan, Bangladesh, Sri Lanka, Afghanistan, China, Iran, Nepal or Bhutan cannot acquire or transfer immovable property in India (other than on lease not exceeding five years) without the prior permission of the Reserve Bank. What are the various modes of payment for the purchase of immovable property? 1. A NRI can finance for the purchase either through funds remitted to India from abroad via regular banking channels or through balance in NRE, NRO or FCNR account. No payment can be made either by traveller?s cheque, by foreign currency notes or by other modes except those specifically mentioned. 2. A NRI can avail a loan based on certain terms and conditions mentioned in FEMA, Foreign Exchange Management (deposit) Regulations, 2000. However, the banks cannot grant fresh loans or renew existing loans in excess of Rs. 100 lakh against NRE and FCNR deposits, either to the depositors or to third parties. The banks should also not undertake artificial slicing of the loan amount to circumvent the ceiling of Rs. 100 lakh. 3. The NRI/PIO is eligible to acquire a home loan of up to 80 percent of the property price. He/she should have passport copies, employment contract, salary certificate, valid visa, work permit, work experience certificate, statements of the NRE/NRO account and basic documents to acquire a home loan. 4. A NRI can repay the home loan by way of inward remittance through normal banking channels via debit to the NRE / FCNR/ NRO account of the NRI/ PIO, or out of rental income from such property or through the borrower’s close relatives via their account in India. 5. Apart from availing a housing loan in Indian rupees from an authorised dealer or a housing finance institution for investment purpose, a NRI can also seek a loan for the purpose of repairs/renovation/ improvement of residential accommodation owned by them in India. Such a loan can be repaid by way of inward remittance through normal banking channel, by debit to the NRE / FCNR/ NRO account of the NRI / PIO or out of rental income from such property. It can also be done via the borrower’s close relatives through their account in India by crediting the borrower’s loan account. 6. A NRI/PIO can avail housing loan in Indian rupees from his employer in India based on certain terms and conditions. The loan shall be granted only for personal purposes including purchase of housing property in India. It will be granted in accordance with the lender?s Staff Welfare Scheme/Staff Housing Loan Scheme with subject to other terms and conditions applicable to its staff resident in India. However, the lender shall ensure that the loan amount is not used for other purposes such as buying an agricultural land etc. The lender shall credit the loan amount to the borrower?s NRO account in India or shall ensure credit to such account by specific indication on the payment instrument. The loan agreement shall specify that the repayment of loan shall be by way of remittance from outside India or by debit to NRE/NRO/FCNR account of the borrower, and the lender shall not accept repayment by any other means. 7. It is mandatory that the NRI/PIO pays atleast 20 percent of the amount along with a maximum of 80 percent amount paid by the bank/financial institution. The NRI/PIO shall be liable to pay the principal amount along with the interest part through the opted mode of payment. What are the tax implications for a NRI to purchase a property in India? A NRI/PIO is entitled to pay the stamp duty and the registration fee while investing in a property in India. He/she can avail all the benefits on par with Indian citizens for the interest paid on the home loan. There will be a standard deduction applicable as per the standard slab for which the NRI/PIO will have to pay the applicable tax if he/she is residing in the country. Fortunately, the amount which is paid for the interest of the home loan by the NRI will be deducted from his/her taxable income without any upper limit. Hence, if a NRI sells away the property, he/she will be legally accountable for the payment of the capital gains tax as mentioned under the Income Tax Act. 1. A NRI should examine all the property documents including a registered property title that can be obtained from the local sub-registrar’s office. 2. Seek legal vetting for all the property documents and ensure to have a clear property title. 3. Ensure that the property name is clear from issues with appropriate rights by the seller to sell away the property. 4. Ensure that there are no outstanding debts on the property and thus get a no dues certificate from the seller before buying the property. 5. Acquire a bank release letter from the concerned bank in case the property has been mortgaged as security for a home loan. 6. Check if the property has all approvals and permits from the civic authorities for construction purposes. 7. Acquire a no encumbrance certificate for the past 30 years to ensure that no mortgage has been outstanding on the property to be purchased. 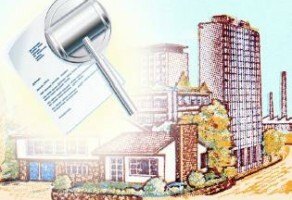 This will also enable the buyer to ensure that the title belongs to the rightful owner who wants to sell it. 8. Obtain required clearance under the Urban Land (Ceiling and Regulation) Act, 1976. 9. In the event of sale by a third party viz., real estate promoter, check whether he is the absolute owner or holds a registered power of attorney to sell the property. It is better to buy from an established developer with an unblemished record. 10. Seek property assistance from a registered valuer to ensure price quoted is the correct market value.